In this epic saga of World War II, Father Salvatore, a kappillan, or parish priest, strives to keep his flock safe in the Maltese catacombs while the Axis powers rain thousands of bombs down upon the then British colony. In the hopes of inspiring them all, “Dun Salv” tells the catacomb dwellers six rousing tales from Maltese history. Not only must this dedicated kappillan care for his people; he must also attend to his noble family: his widowed mother, a baroness trying desperately to keep up appearances in the family’s grand palazzo, his sister whose husband is found guilty of treason, his niece Maria, who falls in love with a daring R.A.F. pilot, and his young impressionable nephew Pietru. Published by William Morrow & Company, 1974. About the author: Monsarrat was a British novelist who served in the Royal Navy during World War II. 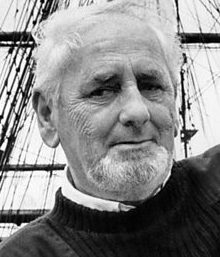 He parlayed his shipboard experiences into several popular novels, including the bestselling The Cruel Sea. His novels The Tribe That Lost Its Head and Richer Than All His Tribe were based on his post-war diplomatic service in South Africa. 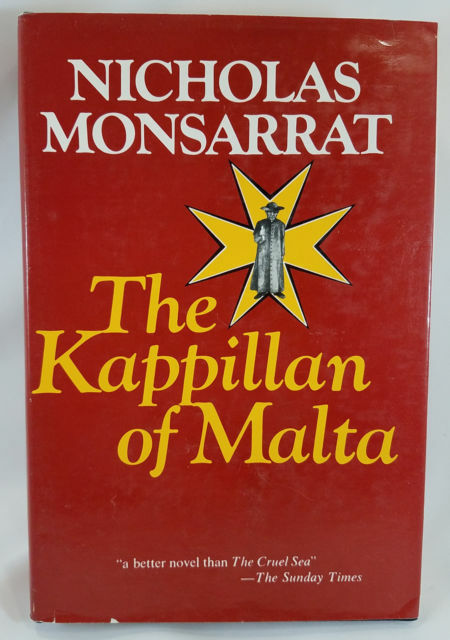 In his later years, Monsarrat wrote The Kappilan of Malta while living on the Maltese island of Gozo. We have lived through a terrible day, full of blood and slaughter and weeping. We end it hiding in the rocks among the dead, as if forgotten by God, as if we were nobody. We MUST NOT hide tomorrow. We have a thousand ancestors to be proud of. Bravery and adventures is in our blood and bone. We have been conquered before. But NOT for ever. We have always survived, and overcome. We are Maltese. We have a shining, glittering history. We MUST earn it again, and live it again. We MUST know, and remember, what that history is.